Ian Carter studied in England at the Universities of Newcastle and Manchester, and in Italy at the European University Institute in Florence. In 1992-93 he was Lecturer in Political Theory at the University of Manchester. Since then he has taught political philosophy at the University of Pavia. In 2003 he was a Visiting Researcher at the University of Oxford and Visitor at Nuffield College, Oxford. In 2012 he was Jemolo Fellow at Nuffield College, Oxford. He is a member of the editorial boards of Economics and Philosophy, European Journal of Political Theory, Journal of Applied Philosophy, Oxford Studies in Political Philosophy, Philosophy and Public Issues, Il Politico, and Quaderni di Scienza Politica. He is also a member of the advisory boards of Revue de Philosophie Economique (France), Aporía. Revista de Filosofía (Chile), Journal of the History of Political Thought (China), and Philosophy and Public Issues (Italy). He has held awards from the Leverhulme Trust (UK), the Economic and Social Research Council (UK), and the Institute for Humane Studies (USA), as well as taking part in a number of international financed research projects including “RESPECT. Towards a ‘Topography’ of Tolerance and Equal Respect. A comparative study of policies for the distribution of public spaces in culturally diverse societies” (European Commission, 7th Framework program, 2010-12), and “Capabilities and Wellbeing: Operationalizing the Capabilities Framework” (AHRB, UK, 2004-5). He is the Coordinator of the English-language Laurea Magistrale degree program in World Politics and International Relations (http://www-5.unipv.it/wpir), in which he teaches a course in Ethics and International Relations. 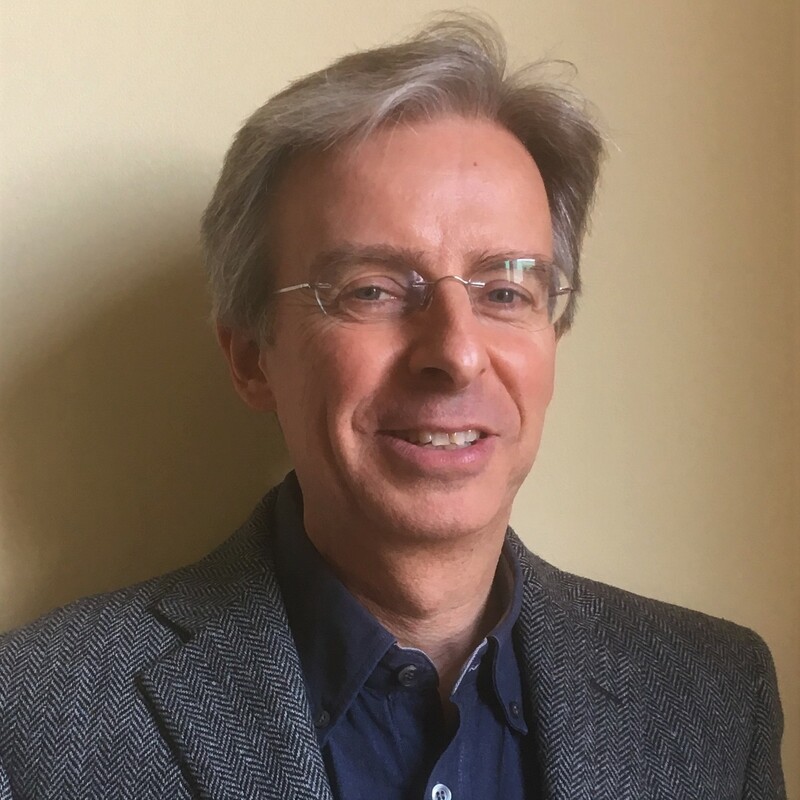 He has also been a member of the Executive Committee of the Italian Society for Analytic Philosophy, and a member of the Executive Committee of the Doctoral Program of the North-West Italy Philosophy Consortium. Over the years he has helped organize, together with his Departmental collagues in political philosophy and political theory, a number of well-known workshops and conferences including the Seminario Permanente di Teoria politica (since 1996) and the Pavia Graduate Conference in Political Philosophy (since 2003): http://www-4.unipv.it/paviagc/?page_id=16. He has presented papers as an invited plenary speaker at a number of international events including the Oxford Political Thought Conference, the annual conferences of the School of Political Science of the Central European University, Budapest, the Portuguese Society for Analytic Philosophy, and the Italian Society for Analytic Philosophy, Oxford Studies in Political Philosophy, and the UK Analytic Legal and Political Philosophy Conference. Of his many published works in English and Italian, several have been translated into French, German, Spanish, and Chinese. Ian Carter's research has concentrated on fundamental normative concepts in contemporary political philosophy, in particular freedom, rights and equality. In 1999 he published A Measure of Freedom (Oxford University Press), which investigated the problems involved in evaluating and measuring social freedom. More recently he has applied this work to the analysis of the concept of freedom of choice and of the relation between freedom and power (including the debate between liberals and republicans). His work on rights has concentrated on controversies regarding the choice theory and the interest theory of rights, on the logical structure of rights and on the relation between freedom and private property, while his work on equality has included critiques of freedom-based answers to the question "equality of what? ", including that of the so-called "capability approach", and the defence of an alternative freedom-based approach that builds on the theses defended in A Measure of Freedom. These last lines of research are presented in the Italian monograph La libertà eguale (Feltrinelli, 2005) and in some of his more recent articles. His current research concerns the ideas of respect and basic equality. In particular, it examines the role played by the notion of respect for persons in establishing what, if anything, renders all persons (or all citizens) equal, such that they should be treated as equals and are therefore due equality of something. It also examines the implications of this respect-based notion of basic equality for the questions of “currency”, “scope” and “site” of egalitarian justice. He is currently working towards a monograph providing a systematic treatment of these themes. Another research interest concerns conceptual analysis and its role in normative political theory. What reasons do we have for thinking of certain political concepts as “value free”? What is the difference between a value-free concept and a value-neutral concept? Why are certain ethical and political concepts subject to inflation? The following is a selection of recent publications. For a complete list of publications follow the link to CV at the top of this page. Toleration and Respect. Special issue of Journal of Applied Philosophy, 2013. Co-edited with Maria Paola Ferretti. Hillel Steiner and The Anatomy of Justice. Themes and Challenges (New York: Routledge, 2009). Co-edited with Stephen A. de Wijze and Matthew H. Kramer. Eguale rispetto (Milan: B. Mondadori, 2008). Co-edited with Anna Elisabetta Galeotti and Valeria Ottonelli. Freedom: a Philosophical Anthology (Oxford: Blackwell, 2007). Co-edited with Matthew H. Kramer and Hillel Steiner. “Self-Ownership and the Importance of the Human Body”, Social Philosophy and Policy, forthcoming 2019. “Opacity Respect, Bureaucracy, and Philanthropy”, European Journal of Political Theory, forthcoming. “Carità o giustizia?”, in G. Delogu (a cura di), Carità. L’arca delle virtù: da Agostino al XXI secolo (Pavia: Pavia University Press, 2018). “Complementary Ideals of Justice? A Trilemma in Emanuela Ceva’s Theory of Just Interactions”, Notizie di Politeia, 128 (2017), pp. 130-36. “Value-freeness and Value-neutrality in the Analysis of Political Concepts”, Oxford Studies in Political Philosophy, Vol. 1 (2015), pp. 279-306. “A Nozickian Quandary about the Equal Worth of Persons”, Notizie di Politeia, 115 (2014), pp. 55-59. “Is the Capability Approach Paternalist?”, Economics and Philosophy, 30 (2014), pp. 75–98. --- French translation: “La tolerance et le respect sont-ils compatibles?, Annuaire de l'Institut Michel Villey, 5 (2013), pp. 163-83. “Come domare l’inflazione dei concetti etici e politici” in A. Besussi and A. E. Galeotti (eds), Ragione, giustizia, filosofia. Scritti in onore di Salvatore Veca (Milan: Feltrinelli 2013). “Basic Equality and the Site of Egalitarian Justice”, Economics and Philosophy, 29 (2013), pp. 21-41. “Left-libertarianism and the Resource Dividend”, in M. Howard and K. Widerquist (eds), Alaska's Permanent Fund Dividend: Examining Its Suitability as a Model (London: Palgrave-MacMillan, 2012). “Respect and the Basis of Equality”, Ethics, 121 (3) (2011), pp. 538-71. --- Chinese translation in Journal of the History of Political Thought , 2015. --- Spanish translation, "El respeto y la base de la igualdad", in J. Gallego (ed.) Igualitarismo: La discusión filosófica, Centro de Estudios Públicos, Santiago Chile, 2016. “The Myth of ‘Merely Formal Freedom’”, Journal of Political Philosophy, 19 (4) (2011), pp. 486-95. --- Reprinted in: S. M. Cahn and R. B. Talisse (eds), Political Philosophy in the Twenty-first Century. Essential Essays (Boulder, CO. : Westview Press, 2013). “La métrique del la liberté globale: son importance éthique et sa neutralité par rapport aux valeurs”, Raisons politiques, 43 (2011) (3), pp. 11-33. “Tre tipi di avalutatività nella teoria politica”, Quaderni di Scienza politica, 17 (2), 2010, pp. 219-44. “Respect for Persons and the Interest in Freedom”, in S. A. de Wijze, M. H. Kramer and I. Carter (eds), Hillel Steiner and The Anatomy of Justice (New York: Routledge, 2009), pp. 167-84. “How Changes in One’s Preferences can Affect One’s Freedom (and How They Cannot). A Reply to Dowding and van Hees”, Economics and Philosophy, 24 (1) (2008), pp. 81-96. Co-authored with Matthew H. Kramer. “How Are Power and Unfreedom Related?”, in C. Laborde and J. Maynor (eds), Republicanism and Political Theory (Oxford: Blackwell, 2008), pp. 58-82. --- German translation, “In welchem Verhältnis stehen Macht und Unfreiheit?”, in P. Schink (ed. ), Freiheit. Zeitgenössische Texte zu einer philosophischen Kontroverse (Berlin: Suhrkamp, 2017). “Social Power and Negative Freedom”, Homo Oeconomicus, 24 (2) (2007), pp. 187-229. --- Reprinted in M. J. Holler and H. Nurmi (eds), Power, Voting and Voting Power: 30 Years After, Berlin: Springer, 2013, pp. 27-62. “Liberty”, in C. McKinnon, P. Tomlin and R. Jubb (eds) Issues in Political Theory, 4th edition (Oxford: Oxford University Press, forthcoming 2018). “Equality”, in A. Besussi (ed. ), Philosophy and Politics. Methods, Tools, Topics (Farnham: Ashgate, 2012). “Positive and Negative Liberty”, Stanford Encyclopedia of Philosophy, 2003, http://plato.stanford.edu. Updated, 2007, 2012, 2016. --- Chinese translation of the 2016 version forthcoming.